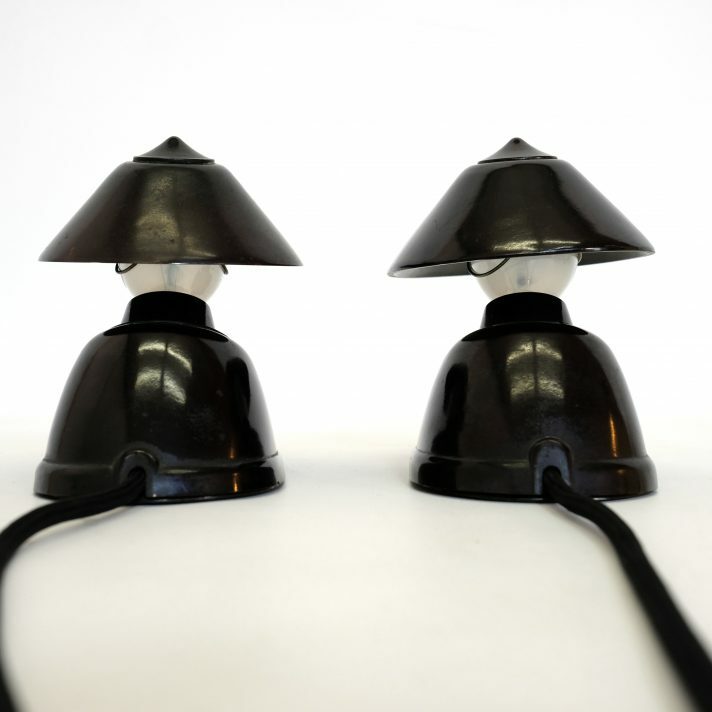 Pair of lamps made of black Bakelite from the thirties. 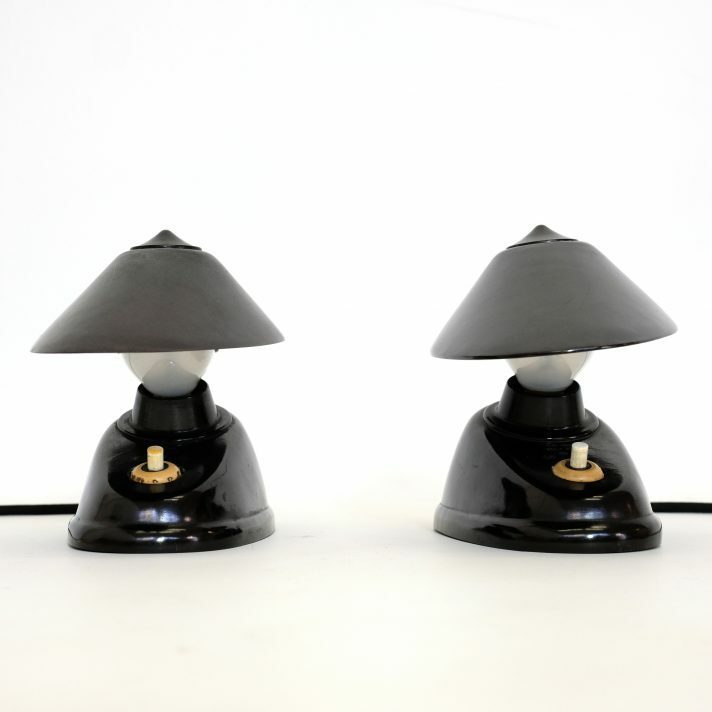 Pair of little black table lamp in black Bakelite produced in ex Czechoslovakia. The shades shade clipped on the light bulbs can be orientated in any direction. 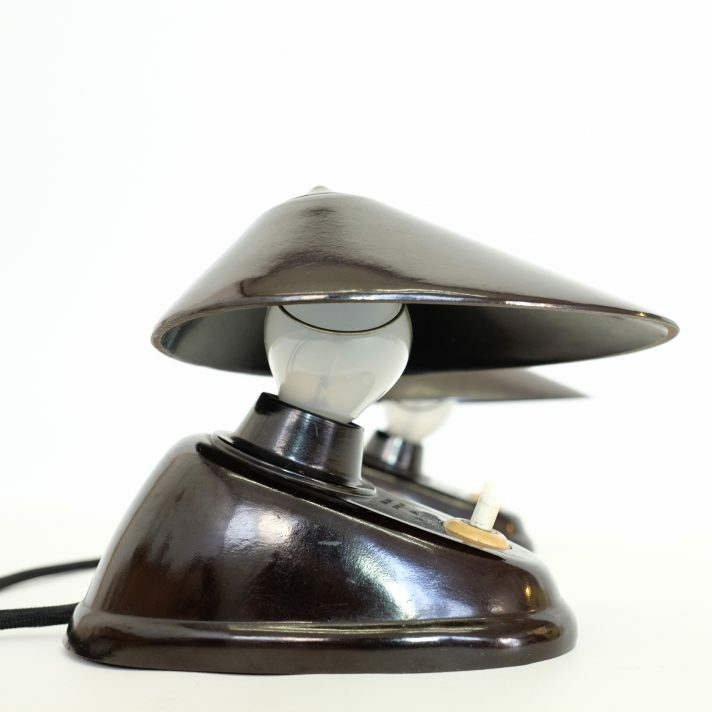 Designed in the thirties probably by the Bauhaus team. 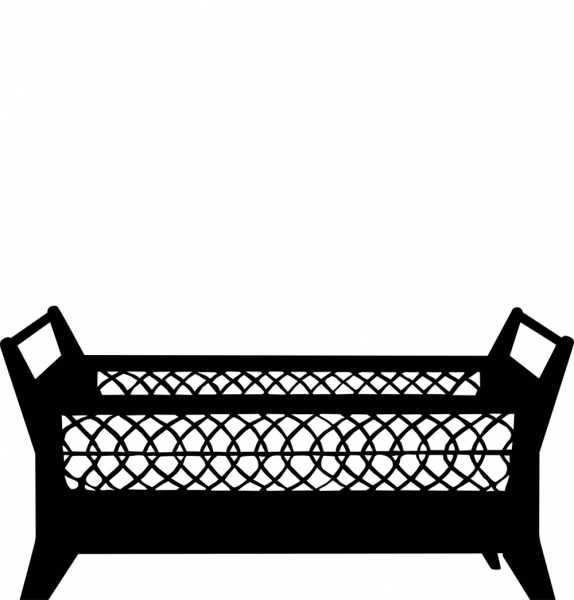 It is marked ESC TYP 11641. 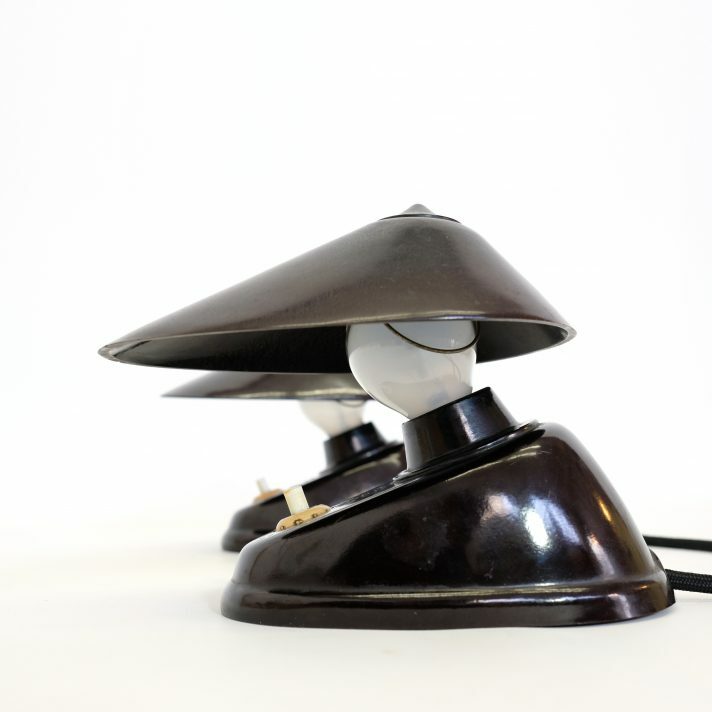 ESC was the company which also manufactured the Bakelite desk lamps designed by E.K. Cole. It can either stand on a table or be wall mounted. 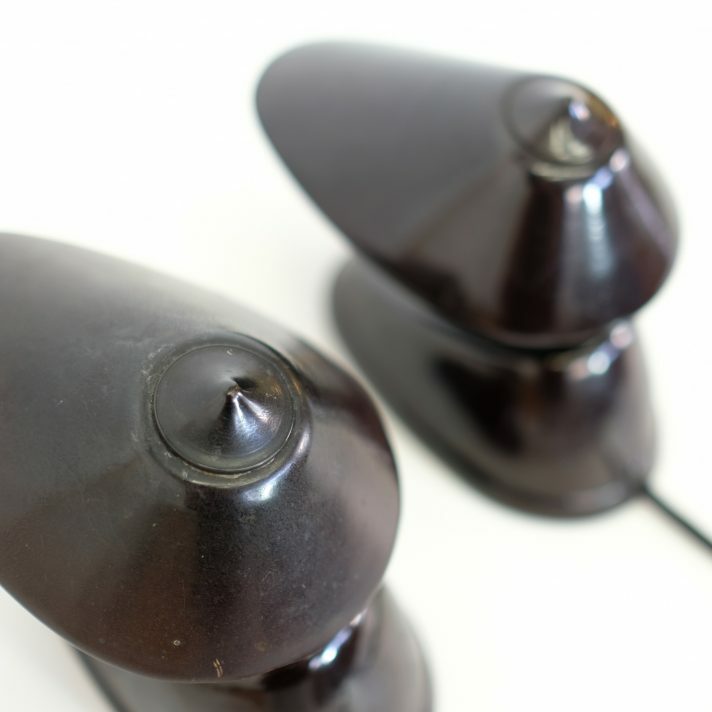 The Bakelite on one of the shades has got less shiny with time. the same shade has been restored with a piece of brass as can be seen on the pictures (it only shows on the inside of the shade). Let me know if you get a similar item. A question about this item? 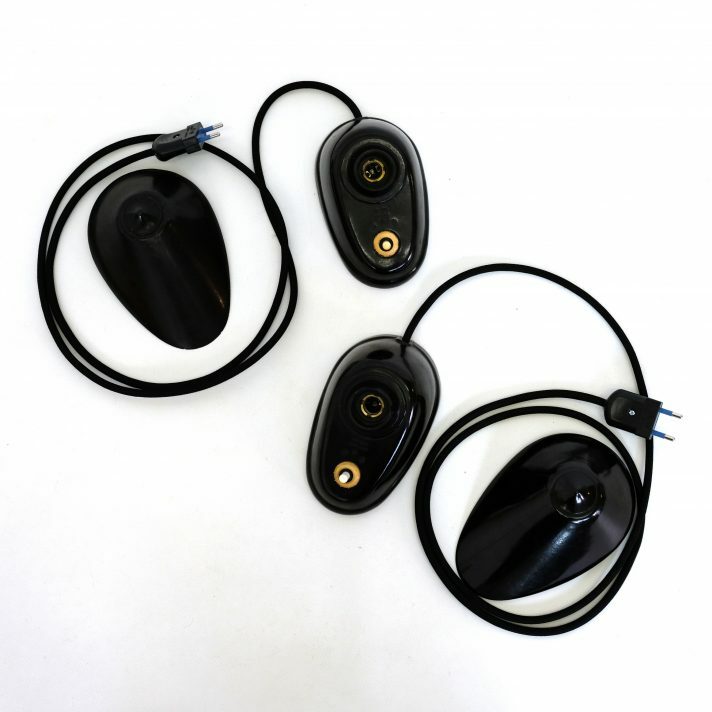 Do not hesitate to ask, we will get back to you asap! 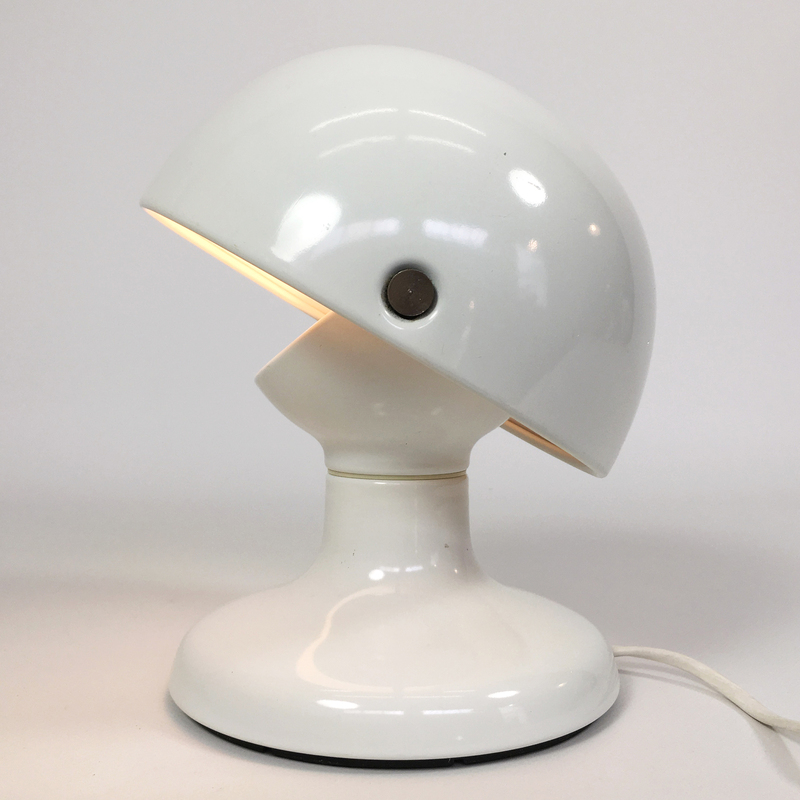 Jucker table lamp, Flos, Italy, 1963. 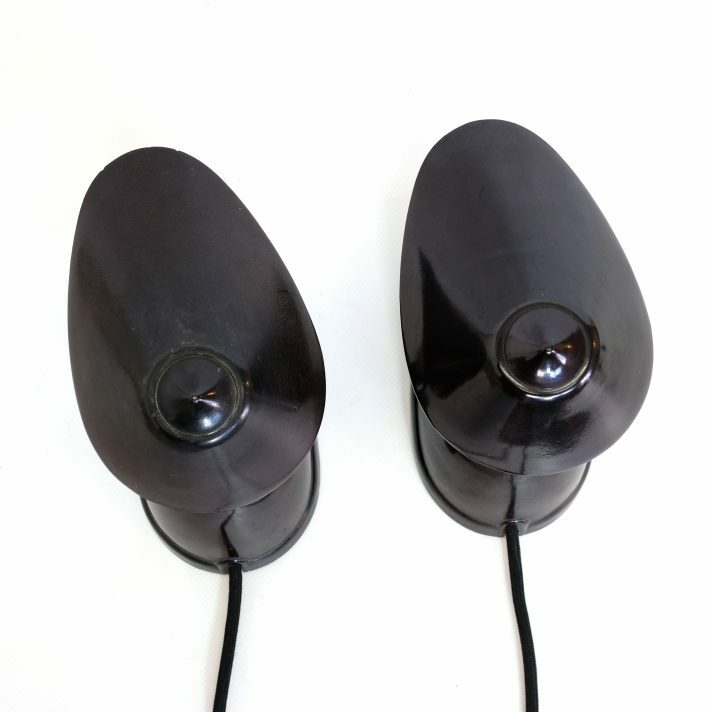 Wall lamp, attributed to Ingo Maurer, 1970’s. Wood and string pendant, France, 1960’s. 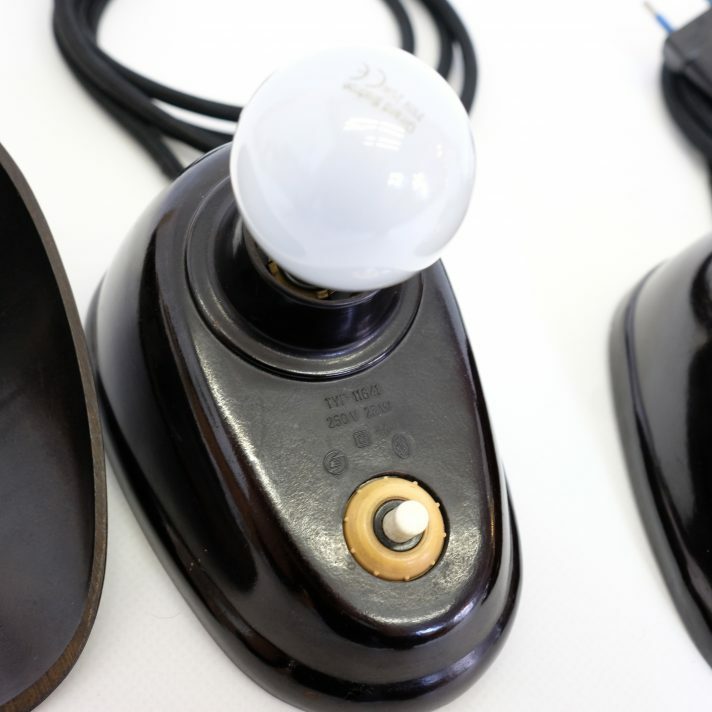 NB93 pendant lamp, Philips, Nederlands. 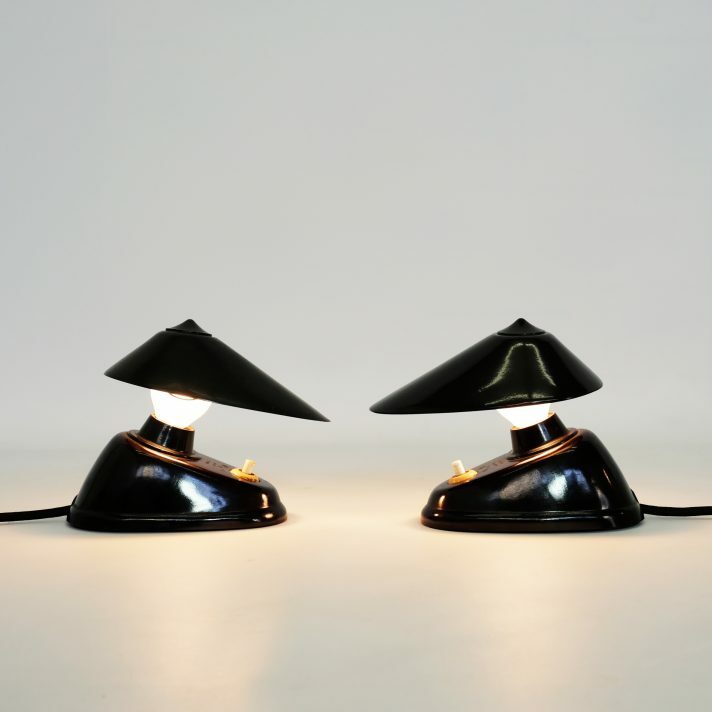 Double shaded wall lamp France, 1960-1970. Industrial lamp, Nestler, Germany, 1960-1970. 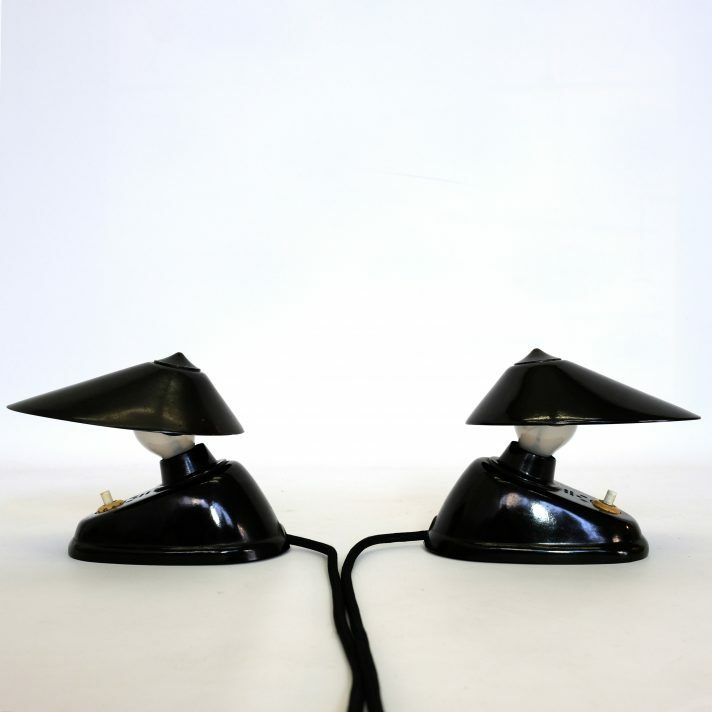 B 1084 Pendant, Raak Amsterdam, 1960s. 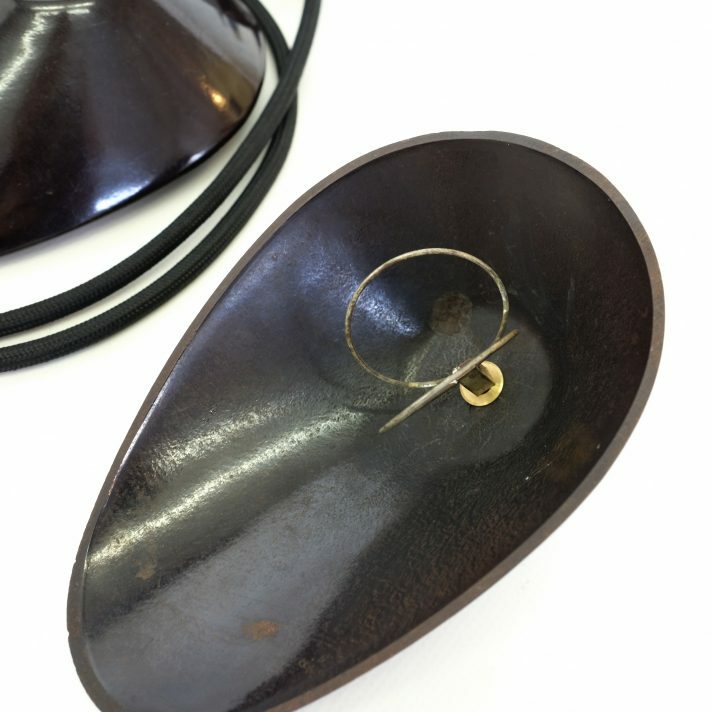 Orient pendant, Fog & Morup, 1957. 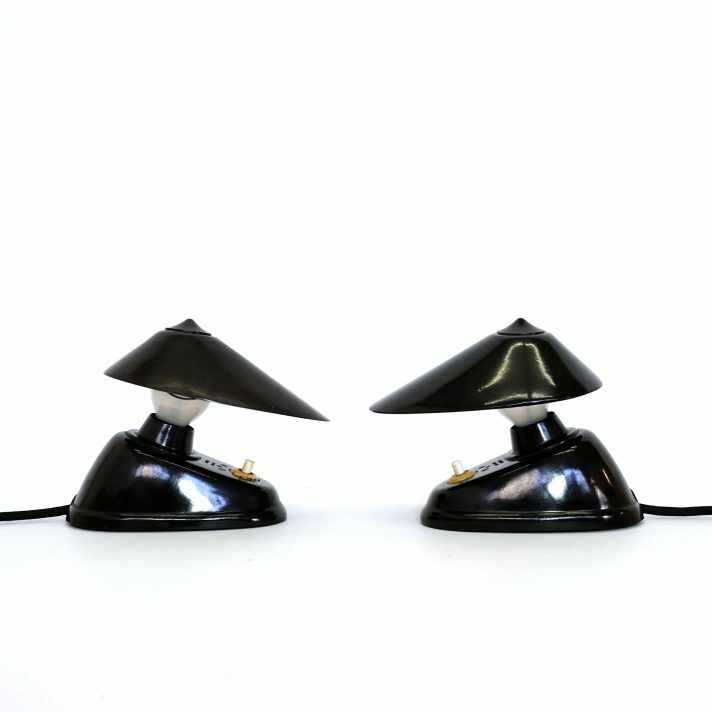 Sputnik ceiling lamp, Italy, 1950-1960. Receive our news once a month. 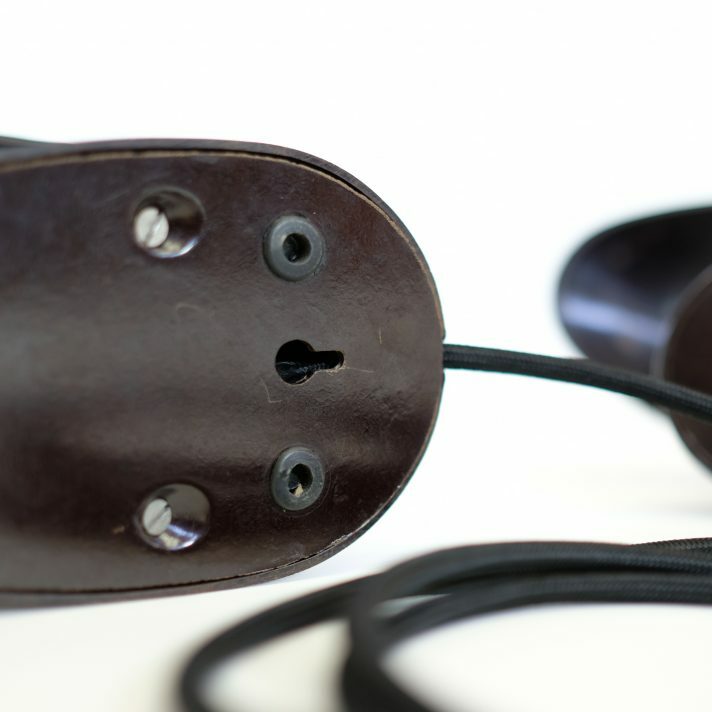 Discover our stock by appointment.